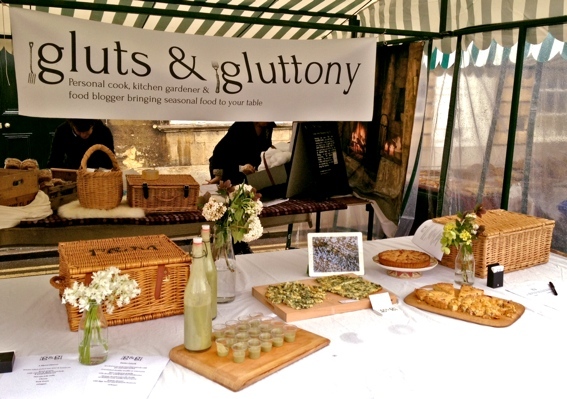 A dank and dree dawn greeted us for the Cotswold Table market in Chipping Norton this weekend. Nonetheless, gloves were donned, hot tea was procured and off we went with a whole host of seasonal G&G samples for the good people of Chippy to try. To those that braved the weather and sampled the tasters, thank you. To those that stayed tucked up the warm, here are the recipes and you’ll just have to make them yourselves. Finely slice the onion and the potato and soften in pan over a gentle heat with the butter and a little salt. Don’t let anything brown. Once soft, add enough water to cover the potatoes, season again and simmer gently for around 5 minutes or until the potato is cooked through. Remove from the heat, add the (washed) nettles and wild garlic to potato base and blitz. You may need to add a little more water to achieve a fairly thin soup. Sieve. Chill. Serve. As you know, I love a frittata for feeding a crowd. This recipe is almost identical to the one you’ll find here, expect I replaced the spinach with kale, omitted the pine nuts and added a few anchovies to the mix. I also recommend using a mild cheddar and probably halving the quantity. Roll the pastry out and line your tart case. Blind bake at 175 degrees for 20 minutes before removing the baking beans and returning to the oven for another 5 minutes. The pastry should be crisp and sandy. You can be making the frangipane as Ms H instructs whilst the tart blind bakes. Leave the tart to cool down in the case. Meanwhile finely chop the rhubarb and pop it in a bowl. Sprinkle over the sugar and mix well. Set aside for 15-20 minutes to macerate (the sugar will draw the moisture out of the rhubarb and prevent your tart going soggy). 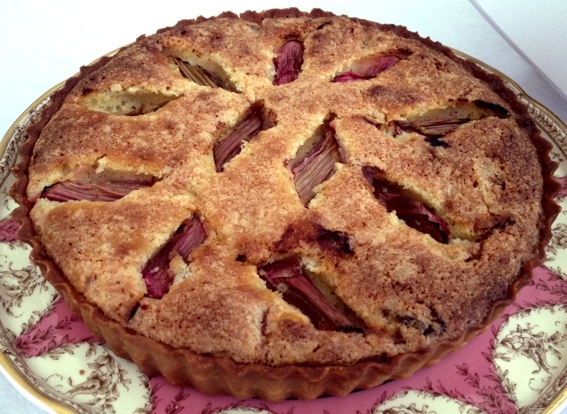 Once you’re ready to assemble everything, spoon the rhubarb into the tart case, taking care to strain off any juices as you go. Next pop the frangipane mixture on top of the rhubarb before baking for around 40 minutes at 175 degrees. I did enjoy meeting you yesterday. Your ideas were so inspiring. I have just made nettle and wild garlic soup! Thank you. That’s so lovely of you to say, thank you. And thank you for braving a soggy and horribly day to come to the Cotswold Table. I do hope you liked the soup?